The Irish relationship with the Glasgow Celtic Football Club stretches right back to the very formation of the club. 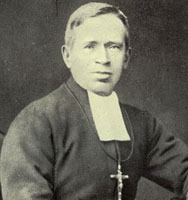 Sligo man Andrew Kerins, better know as Marist Brother Walfrid, established Celtic FC on 6 November 1888 in the east end of Glasgow city. It was part of Brother Walfrid's attempts to raise funds for his charity The Poor Children's Dinner Table. The club largely targeted Irish immigrants in the Glasgow area. The nickname 'The Bhoys' is meant to reflect the Irish pronunciation of the word 'Boys'. Also the Irish flag has been widely associated with Celtic and is routinely displayed by fans of the club. The first Irish player to play for Glasgow Celtic was defender Charlie McEleny form Raymoghy in Donegal. The following is a full list of Northern Irish players that have played for Glasgow Celtic. There is an interesting anomaly in that English-born Jack Reynolds, who was reared in Antrim earned five caps for Ireland before switching his allegiances to the country of his birth. Reynolds went on to play for England on eight occasions including one match against Ireland. The following is a full list of Republic of Ireland players that have played for Glasgow Celtic. In view of the fact that Celtic was founded by a Southern Irish catholic cleric it is no surprise that the club has such widespread support in the Republic of Ireland. Equally it is unsurprising that so many Irish footballers have opted to play for Celtic down through the years. Some of the more notable recent players to done the hooped jersey of the Bhoys include Roy Keane and Robbie Keane.